Portuguese foreign minister Paulo Portas, on Monday, promised residency permits to all who will invest in Portugal. This is considered as part of their strategy to invite more non-European investors to their country. Cities in Portugal may witness more Indian investors. While visiting India, Portuguese foreign minister Paulo Portas promised residency permits to all the Indian realty investors who will invest in Portugal. Citing the strategic location of Portugal, he added that it would be open the doors of Europe in front of the Indian realty investors. However the investment in Portugal is expected to provide access to the entire European Union countries. Portugal has already approved the golden residency permit which permits the non-European citizens to have full access across the European countries in the Schengen area. 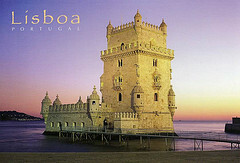 However the investor is expected to invest either in the real estate or start up an industry in Portugal. Portugal hopes to survive in crises with more non-European investors investing on real estate and industry. The crises-hit nation, whatsoever, tries to recover from the financial crises with the help of some Indian investments. Portugal is one of the first European countries to be hit by financial crises. As per the golden residency permit, only those who invest €1 million in the country will be given the residency permit. Those who invest half a million euros either in real estate sector or start a business also will be given the residency permit. 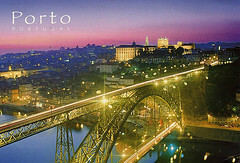 The aim of inviting foreign investors is that it will create more job opportunities in Portugal. While addressing a meeting in New Delhi organized by the Confederation of Indian Industry (CII), he explained the policy to a group of business-people. In the same way, the British Prime Minister David Cameron visited India last month and offered a similar policy to the Indian investors. He also invited the Indians to have investments in Britain. Portugal’s plan to link visas with investment will open worry-free access to the Europe. There is possibility for the holders of this residency act to gain permanent residence permit as well as to the Portuguese citizenship in future. It seems that Indian investors have already started taking advantage fo the policy which came into force in January 2013. Portas said that one of the first residency permits was obtained by an Indian who invested in travel and tourism in the country. This entry was posted in Real Estate News and tagged European Financial Crisis, European Union, Golden Residency Permit, Indian investors, Paulo Portas, Portugal, real estate investment by designer. Bookmark the permalink.